Vocational Services, Inc., employment for people with developmental disabilities and business services such as packing in Kansas City, Mo. Careers with Vocational Services, Inc. 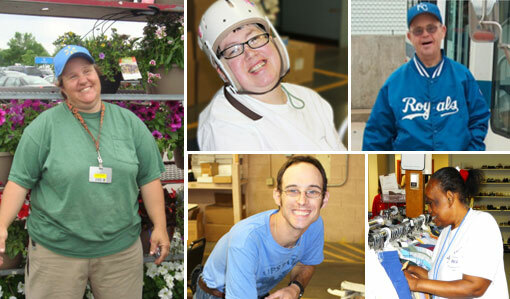 Nationally accredited and state certified, VSI has been providing employment and other services for people with disabilities for over 50 years – and serving the business community with on-demand, flexible services and programs. VSI services include a proven array of programs for people with disabilities and outstanding services for businesses. Read More. Parents, guardians, people with disabilities and other community members interested in VSI programs are invited to schedule a tour of our facilities. Read More. Learn how you can help enhance our services for people with disabilities. Even a small gift can change a life. Read More. The County Commission formally recognized Developmental Disabilities Awareness Month and VSI's service to the community. VSI employee David Campbell, Jr., was recently featured in the Excelsior Springs Daily Standard. VSI paid tribute to some of its hardworking employees with disabilities during a special ceremony. North Kansas City Mayor Don Stielow recently visited VSI’s workshop. Read More. The North Kansas City Business Council visited VSI for a special First Friday networking event. See what else is happening at Vocational Services! © 2018 by Vocational Services, Inc. Vocational Services, Inc. is recognized by the Commission on Accreditation of Rehabilitation Facilities (CARF). The Arizona-based organization is considered the nation's leading accreditation agency for rehabilitation services. VSI has earned CARF's highest rating, a three-year accreditation.